Tyne Daly is returning to CBS. Today, the network announced the Cagney and Lacey star has joined the upcoming Murphy Brown revival. As reported earlier, CBS has ordered 13 episodes for a Murphy Brown reboot. The sitcom originally premiered in 1988 and starred Bergen as the titular Murphy Brown, a recovering alcoholic and investigative journalist who returns to host the fictional TV news program, FYI. The cast also included Faith Ford, Pat Corley, Charles Kimbrough, and Lily Tomlin. The show ran on CBS for 10 seasons before ending in 1998. Tony and Emmy Award winner Tyne Daly will join the cast of MURPHY BROWN when it returns to CBS for the 2018-2019 broadcast season. Daly will play Phyllis, the sister of the beloved, deceased bar owner Phil from the original series, and it’s evident that the apple doesn’t fall far from the tree. She has taken over the bar and is a friend and confidant to Murphy and the gang. As previously announced, CBS has given a 13-episode series production commitment to a current-day revival of the Network’s classic comedy from Warner Bros. Television. As its 30th anniversary approaches, MURPHY BROWN returns to a world of cable news, social media, fake news and a very different political and cultural climate. The original cast members Candice Bergen, Faith Ford, Joe Regalbuto and Grant Shaud will reprise their roles, and Jake McDorman and Nik Dodani will join the cast. During the show’s original 10-year run on CBS, MURPHY BROWN received 62 Emmy nominations (with 18 wins), 15 Golden Globe nominations (with three wins), three Screen Actors Guild awards, five Directors Guild nominations (with two wins) and four Writers Guild nominations (with two wins). Bergen won five Emmy Awards and a Golden Globe Award. What do you think? 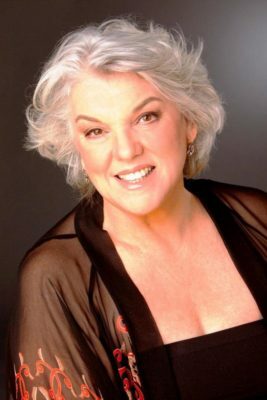 Are you a fan of Tyne Daly? Will you watch the Murphy Brown reboot? More about: CBS TV shows: canceled or renewed?, Murphy Brown, Murphy Brown: canceled or renewed? Murphy Brown: CBS Releases Cast Photo; Murphy Joins 60 Minutes? Murphy Brown: Whatever Happened to the CBS Sitcom Cast? Yessss. Tyne Daly AND Candice Bergen. Back where they belong.